Pair of 6X6" army star decal/sticker . Matte black Jeep emblem . Adhesive back. 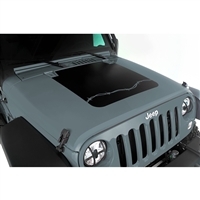 Mopar Black Rubicon Hood Decal for 2007, 2008, 2009, 2010, 2011, 2012, 2013, 2014, 2015, 2016, 2017 and 2018 Jeep JK Wranglers. 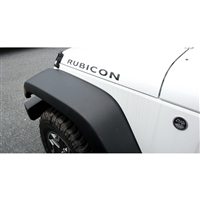 Add this Black Rubicon Hood Decal from Mopar to your 2007-2018 Jeep Wrangler JK. 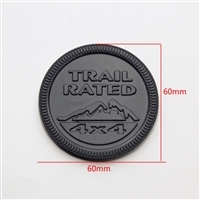 This OEM Rubicon decal proudly represents a well-recognized name in the off-road world! 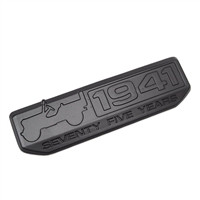 This black decal will match just about any paint scheme and works perfectly whether you are replacing a worn decal or adding a new one to your Jeep's hood! 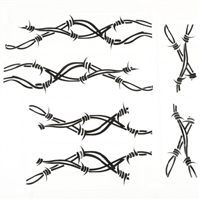 Set your Wrangler apart from the rest with Rugged Ridge's exclusive vinyl decals. Offering the perfect look for the hood of your Jeep, these designs range from mild to wild and are an easy and inexpensive way to customize your ride. These graphics are made from the highest quality 3-mil vinyl featuring a smooth matte black surface to produce vivid, life-like graphics. Each decal was designed to ensure a perfect, long-lasting fit on your Wrangler every time so it'll stand out whether you're cruising the boulevard or beasting the trails! Mopar offers a variety of graphics to personalize your vehicle. Mopar graphics are engineered, tested and designed specifically for your vehicle and use production grade materials.